If your long weekend has been anything like ours, it’s involved inordinate amounts of couch time in which we sat mesmerized by the first hint that Mother Nature hadn’t actually forgotten about winter in Seattle. Thankfully, our sloth paid off in the form of being able to spend some extra time combing through the upcoming shows listings to find the absolute best concerts that will entice us (and you?) to venture out into the world. While we, and pretty much all music fans, are quick to pronounce affection toward the summer festival season, we’ll even more immediately acknowledge the fact that the next few weeks will be extremely hard to beat. 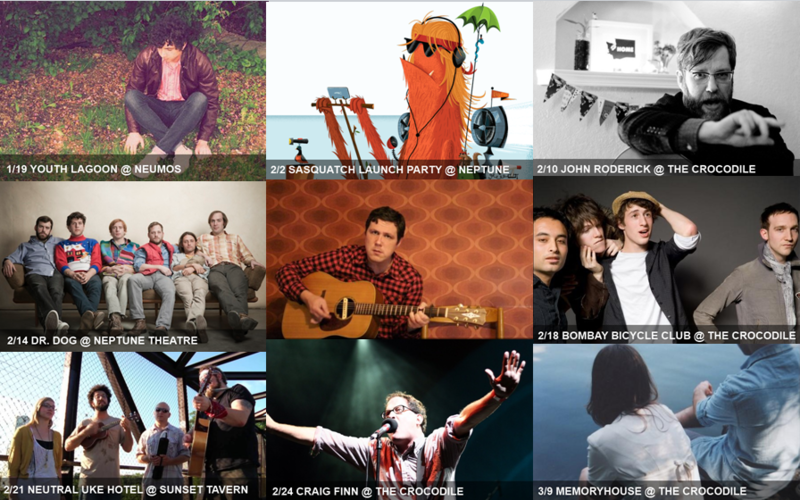 A quick scan through our calendar page will show why the upcoming month, complete with shows from long-time favorites like Nada Surf, John Roderick, Damien Jurado and John K. Samson intermixed with some of our favorite newer acts like Youth Lagoon, Bombay Bicycle Club and Memoryhouse, have us so excited about the prospect of live music once again. We’ll see you out there! As always, you’ll be able to read our take on why we recommend the band and listen to a song or two on the day of the show. Simply click here and/or on the Calendar tab to see what we’re most excited about this month and beyond.